Vinod Khanna is survived by his former wife Geetanjali and their sons Akshaye and Rahul, who are now actors, and his present wife Kavita and son Sakshi and daughter Shraddha. 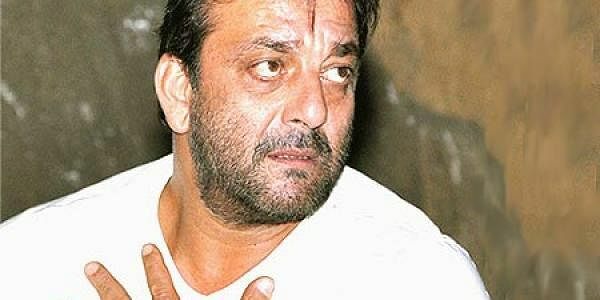 MUMBAI: Actor Sanjay Dutt has paid tributes to veteran actor-politician Vinod Khanna, who died here on Thursday due to prolonged illness. He says the late star was and will always be family to him. "It is saddening to hear of the demise of Vinod Khanna ji. I have watched him as a child and throughout my life was always fascinated by his style and charisma. He was always a thorough gentleman. A big loss to the fraternity. He was and always will be family to the Dutts," Sanjay said in a statement. Khanna is survived by his former wife Geetanjali and their sons Akshaye and Rahul, who are now actors, and his present wife Kavita and son Sakshi and daughter Shraddha. Sanjay, who has worked with Khanna in films "Khoon Ka Karz" and "Kshatriya", paid his condolence to Khanna's family. "May his soul rest in peace. My deepest condolences to Kavita Bhabhi, Akshaye, Rahul and Sakshi," he added. Khanna was hospitalised for over a month for suspected cancer. He was 70 and is survived by his wife, three sons and a daughter. Khanna was admitted to Sir H.N. Reliance Foundation Hospital in the first week on April after reportedly suffering from severe dehydration. The actor was the incumbent Bharatiya Janata Party (BJP) member of the Lok Sabha from Punjab's Gurdaspur constituency in Punjab.